Almost, Everyone has started Using Cloud Storage Apps for their daily needs and to save the storage on Phone Memory or External SD Card. First of all, I am going to share about What is Cloud Storage? And How It helps others by Installing on Your Smartphone. 1.1 How It Helps People? It is a Cloud computing device in which the data can be shared remotely around the Network with Secure Backup among Cloud Storage Services. 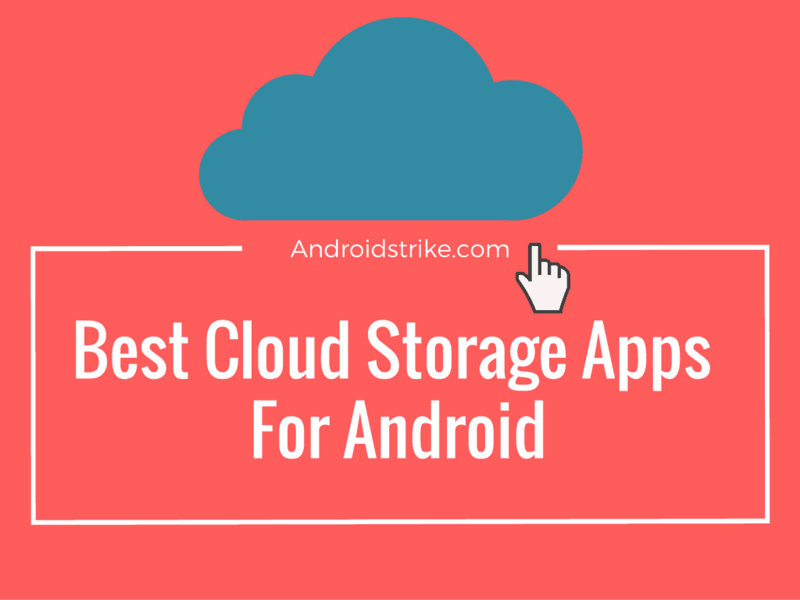 So, Here I have Listed Few of The Best Free Cloud Storage Apps for Android. You have heard about DropBox many times. It is the most popular and secured Online Cloud Storage App. Which is Available for Android, Windows, and iOS Platform. The People choose DropBox because Of their Secure file sharing and multi-purpose of back-up from Desktop and Mobile Platform. OneDrive is also a quite good Cloud Storage App, Commonly Known as Skydrive. It is the App from the Developer of Microsoft. Most of the users choose OneDrive for offline Files accessing (Photos and Videos) whenever you need to be located. It comes with an Auto-Backup option, and one, and only Microsoft Official App supports both Android and iOS. Google Drive is the most common and well know popular Cloud Storage App, Developed by Google. They give 15GB of Free storage that you can take backup of Google Photos and easily customizable where you can share offices documents, spreadsheets and much more. The UI is only designed as per the Guidelines of Google. I prefer Google Drive for Bussiness purpose. Mega means Huge. So, They are giving Huge Storage. It is the File sharing source where the user can get up to 50GB of Free Cloud Storage Once the signup. After the usage bandwidth limit, You can Get additional storage of 200GB for €5 per month. I like Mega because of their High storage, where other services are not offering. ALL IN ALL, MEGA is the proper selection of all. I hope you liked this post. I have listed a few of the apps. If I missed anything above, comment below and I would improve in next post. Keep Visiting!!! Mega.nz is the best app to store content online. I am using it since a year and still have not exhausted 40 GB out of 50 GB.